Our mushroom workshop was a great success! News \ News Archive \ Our mushroom workshop was a great success! Our first-ever shiitake mushroom growing workshop was a great success! 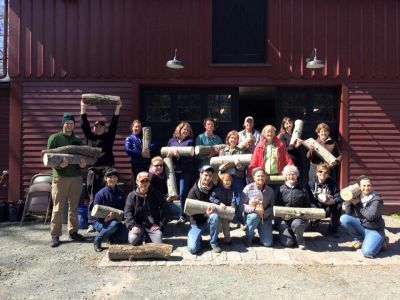 After an introduction of different mushroom growing methods, participants learned how to inoculate logs with shiitake mushroom spawn and left with their own “seeded” log which can provide mushrooms for up to 5 years. It was a great family-friendly event.